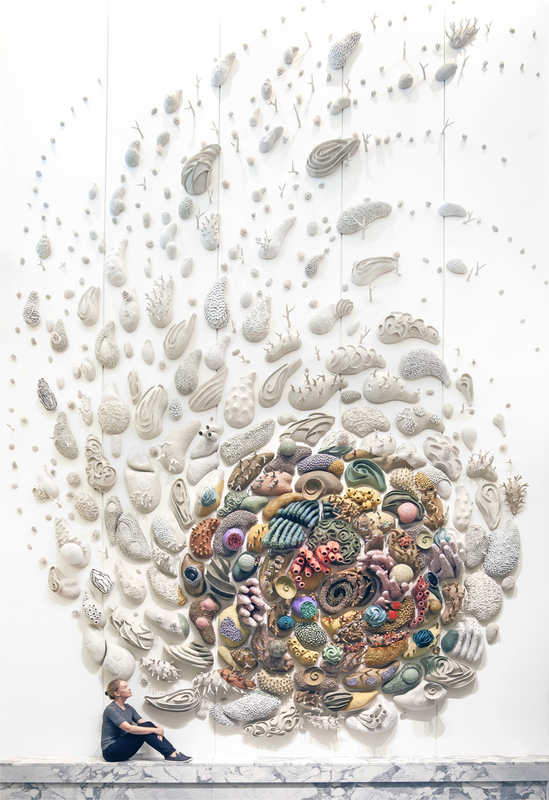 artist and ocean advocate courtney mattison has created a two-story tall ceramic coral reef wall installation for the new US embassy in jakarta, indonesia, and dedicated it to those who are working to fight climate change. 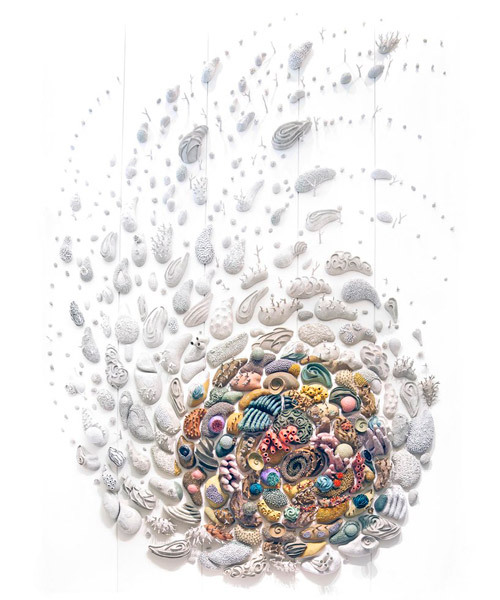 the site-specific installation celebrates the fragile beauty, diversity, and value of indonesia’s vibrant reefs while highlighting the human-caused threats they face. 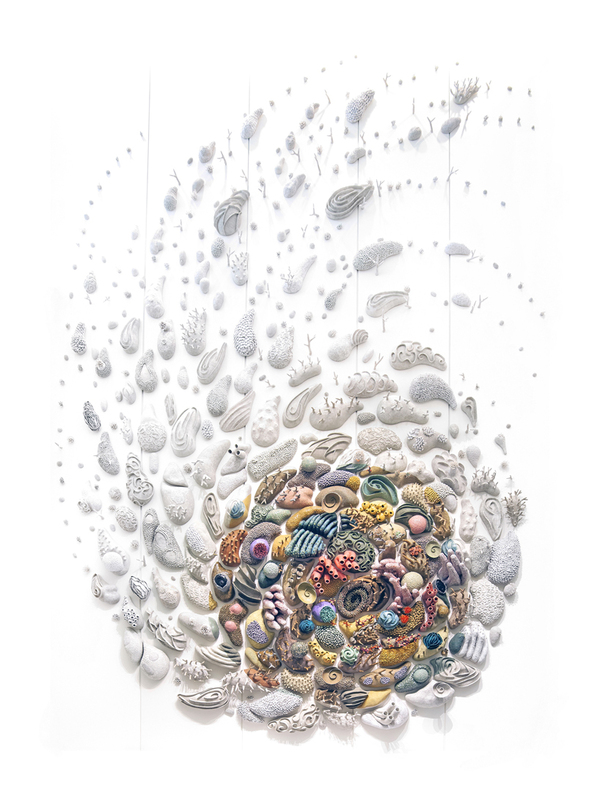 corals, anemones, sponges and other reef-dwelling invertebrates coalesce into a cyclone-like spiral with colorful healthy corals at the eye of the storm, their tentacles and branches dancing in the current. indonesia lies at the heart of the coral triangle — the ‘amazon of the sea.’ with more invertebrate species than anywhere else on the planet and nearly 4.000 species of fish, this exceptional region provides food, livelihoods, coastal protection and joy to nearly 400 million people across six countries. indonesia’s archipelago of over 17.000 islands is a keystone for this rich ecosystem, with the health of its human population directly linked to that of the reef. yet today it faces unprecedented threats. 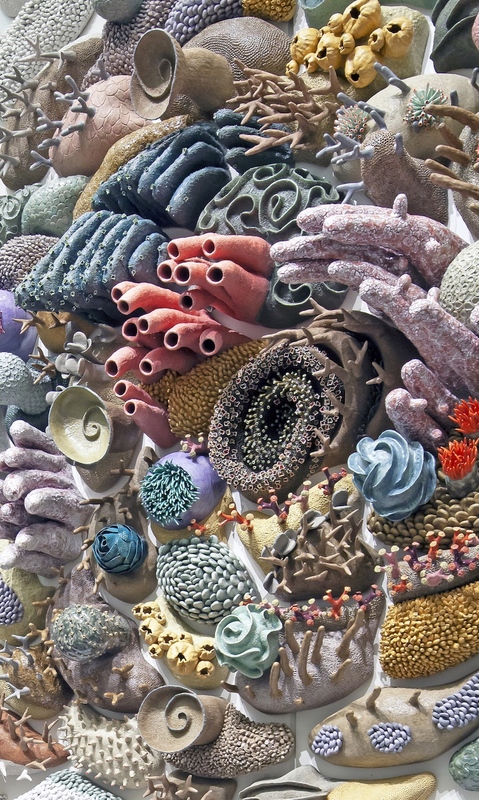 corals are so sensitive that the slightest change to the temperature or chemistry of surrounding seawater can cause rapid devastation.